Greetings from the beautiful, remote waters of Drake Bay, Cano Island and the Osa Peninsula. If you prefer water, wildlife and Rain Forest instead of condos and concrete Drake Bay is the place for you. The fishing in February was one of the best months we have ever had for quality, quantity and diversity of fish. We were thankful to be on the water virtually every day and in addition to the great fishing, our clients enjoyed seeing numerous Humpback whales with their babies and huge schools of playful dolphin. Drake Bay is truly a magical place full of amazing wildlife. 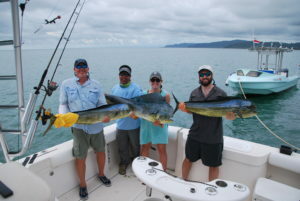 Looking forward to March, we expect the offshore bite to remain strong for Mahi-Mahi, Blue Marlin and the occasional Wahoo. March and April are typically the months where Sailfish migrate through our waters in big numbers. The in-shore bite for Roosterfish, Cubera Snapper, Pompano, Amberjack and Grouper should remain steady. The mates and I are excited about once again fishing the Offshore World Championships in April. This will be our 5th consecutive year. This tournament is considered the Olympics of sport fishing. We will keep up with live stats on our facebook page so please be sure to follow us to stay in the loop. 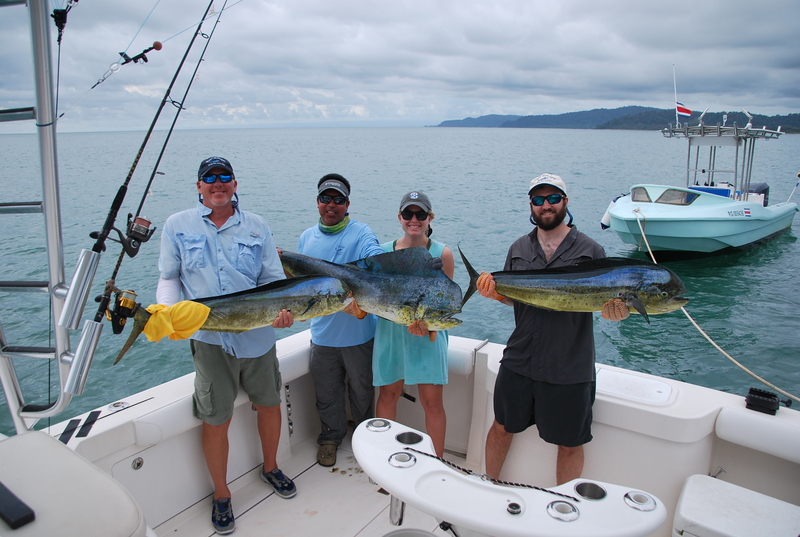 Additionally keep up with our monthly post in Coastal Angler e-magazine and website. Contact us here with any additional questions or information request. We hope to fish with you soon. Come to paradise, come to Drake Bay, Costa Rica.